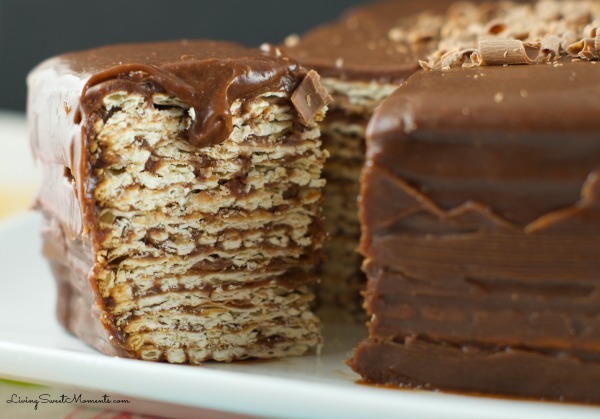 Icebox matzo cake recipe – Easy no bake dessert to serve during Passover Seder. 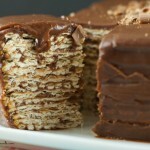 Combine layers or matzos dipped in wine and top with chocolate icing. 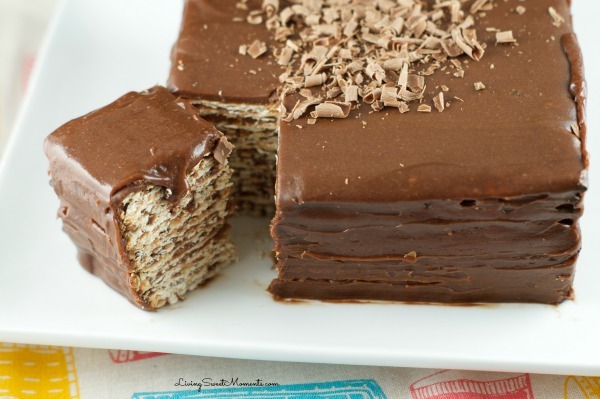 The chocolate cream has a lot of flavors and combined with the wine and matzo, it creates a happy marriage of flavors and textures in your mouth. Of course, if you’re serving to kids, use grape juice instead of wine. Make it the night before serving so the flavors combine and the chocolate cream sets up nice. Top if off with some shaved chocolate, candied nuts or whatever your hearts desire. Here’s my 7-year-old helping me make it. During Passover, something it’s hard to come up with creative ideas on how to use Matzos. I am fine the first 2 days when then I start to get bored BUT when I know I have this Matzo Cake in the fridge, I have to have a piece. The flavor is absolutely amazing. 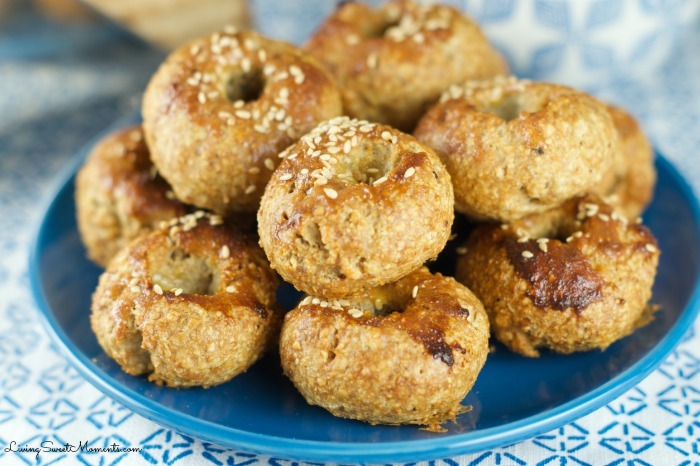 If you don’t celebrate Passover, still give this recipe a try. It’s super delicious. 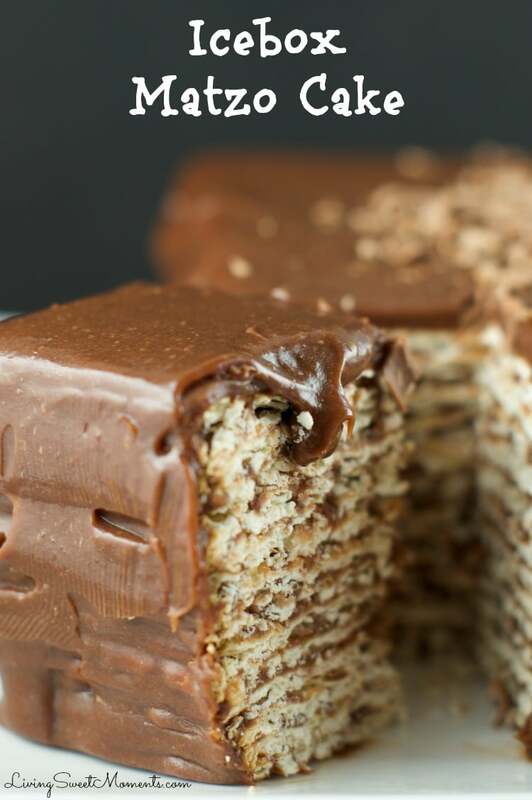 Each matzo in this cake is dipped in some wine and then topped with a creamy chocolate frosting. When the cake is refrigerated, the matzo hardens and bit and gets a dreamy grape flavor that complements the chocolate nicely. It’s the perfect marriage between crunchy, creamy and indulgent. 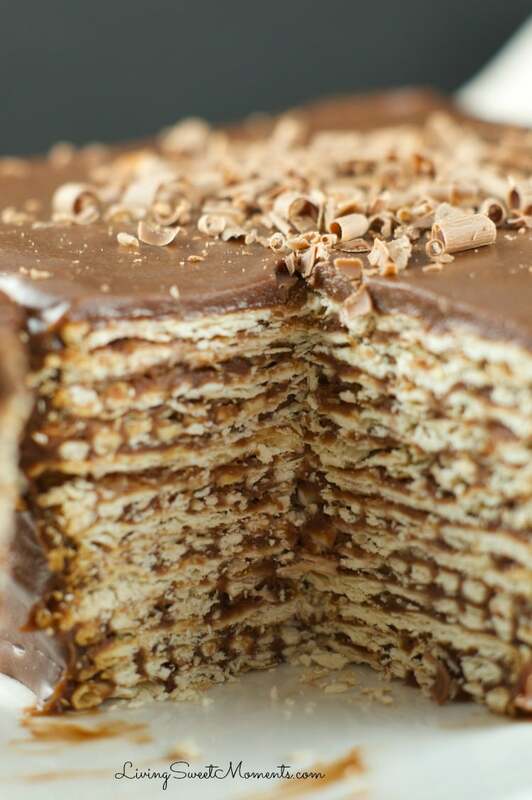 I hope you can make this delicious Icebox Matzo Cake Recipe at home. If you do, please tag me on Instagram @livingsweetmoments and/or use the hashtag #LivingSweet – I promise to Repost it. 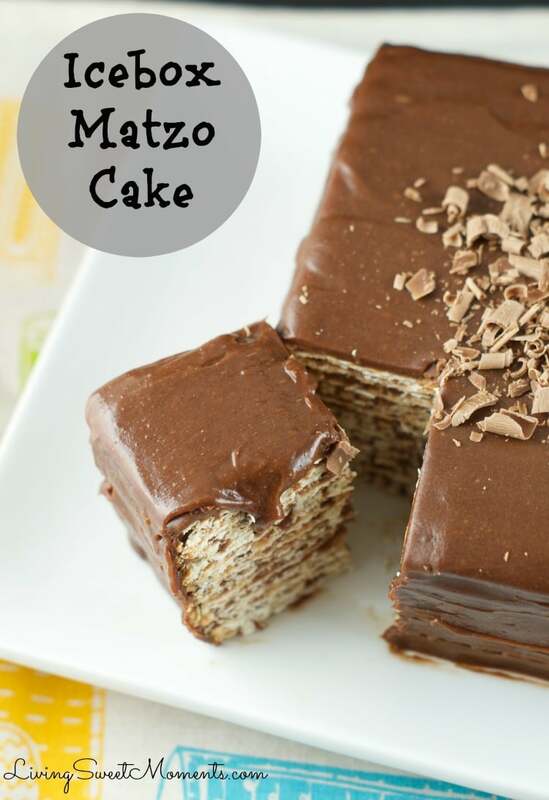 Icebox matzo cake recipe - Easy no bake dessert to serve during Passover Seder. 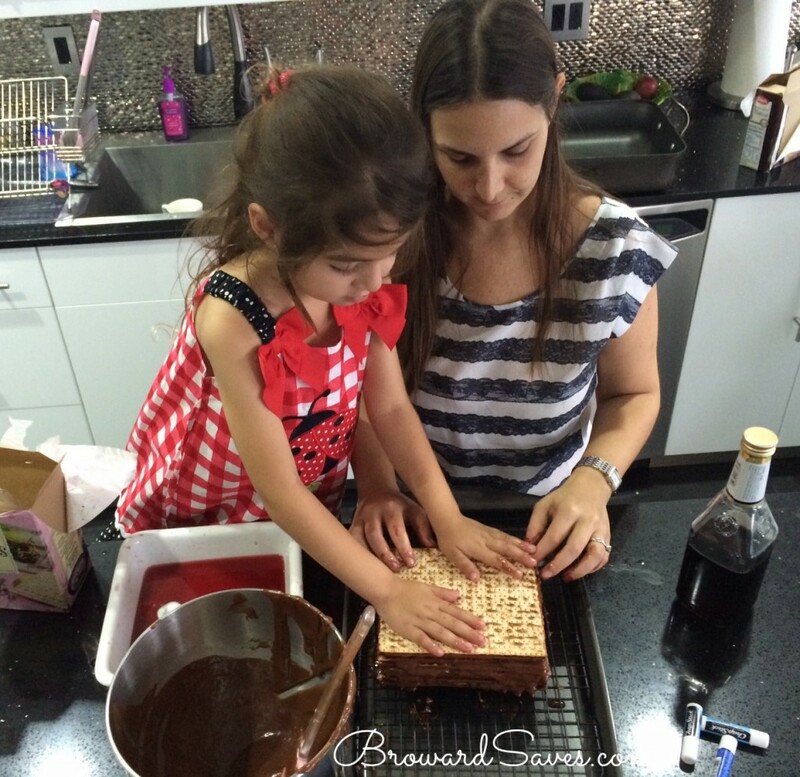 Combine layers or matzos dipped in wine and top with chocolate icing. Combine chocolate with the butter mixture until combined. Dip a matzo in the wine and place on the cookie sheet. Spread a little of the chocolate cream. Top with the rest of the chocolate cream covering the sides. Oh coffee sounds like a great idea! I’ll try that next time. I’m glad you liked it! Is there a way to heat the eggs so that they are not used raw? Mixing them with warm chocolate may not be sufficient to kill bacteria..
Hi AR! Yes, if you’re worried about bacteria, use pasteurized eggs from a reputable vendor and you can always whip the eggs and rest of the ingredients over a double boiler. Hag Sameach! 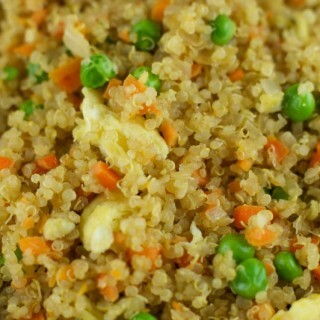 Can you use something other than eggs? worrying about them being raw!! I made this for passover on friday and unfortunately everyone agreed it was entirely too dry and crunchy. Of 16 ppl that I had for dinner there wasn’t one that liked it! Bummed because I had high hopes for it but it was a total flop. hi Kim I am so sorry it didn’t work out for you. This cake is not dry at all. My guessing is that you didn’t soak the matza in the wine/juice on both sides or too little. I didnt see this until after seder, but I just finished making it today. As an experienced cook and baker, i can say this was the biggest mess I have made in my kitchen in a long time – and i cannot WAIT to do it again. It is chilling in the fridge right now – and if its half as good as it looks, i just have to say MAZEL TOV. How did we grow up suffering through sponge cake and canned macaroons? Hi Terri! Your comment just literally made my day. I agree! 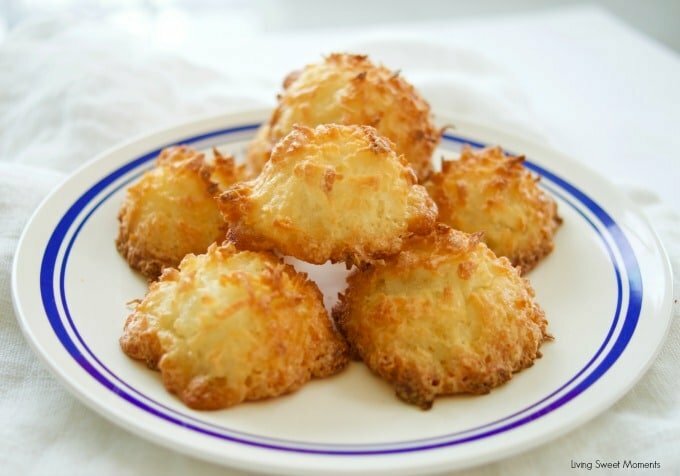 no more canned macaroons. Please let me know what do you think when the cake is ready. Hag Sameach! Making this fornpaasover this year! So excited! Will post photos on instagram! Awesome Misty! Let me know how it comes out! 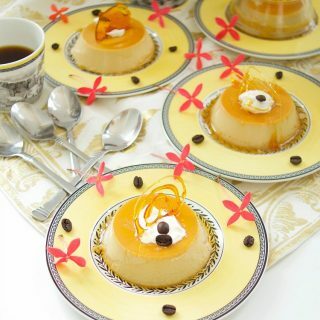 I’m thinking of making this for my dad’s seder this year. I usually just bring whatever because he’s not a truly religious person and frankly could care less about eating completely kosher. 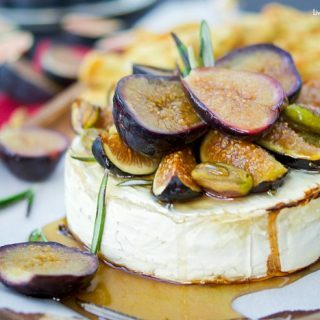 But I would LOVE to show up with a kosher dessert this year that’s not only following the rules of Passover, but that tastes good and looks good too. I like all the ingredients listed for the recipe. So it’s bound to be good. Thanks! You’re welcome Kendall! Let me know how it comes out! You’re welcome Hanne! Let me know how it comes out! lol!! Hope he liked it! Do you think this would work with gluten free matzah? Yes Karen, it works with GF Matzah. Just make sure to dip it quickly in the wine or juice so it doesn’t get mushy. Looks yummy! I’m wondering how long/how well this will last in the refrigerator? It lasts about a week Joy! My grandmother made a cake very much like this one for Pesach all through my growing up. Her cake used 8 egg whites rather than whole eggs, but otherwise the recipe is very recognizable. She likely found the recipe in a Yiddish newspaper in New York shortly after she arrived in the US in 1950. It was always a favorite for me and my cousins, and I’ve made it occasionally in my own home. This year, I will make it for the first time with my own kids. Looking forward to it! Chag sameach! Wow! I had no idea! That’s awesome Jeff! Please let me know how it turned out. Chag Sameach to you and your family as well! Hi tiffany its morah vicky. Chag sameach! Tried the cake looks great…hoping its a big hit tom night! Kisses to the girls! Hi Morah Vicky! Chag Sameach to you and your family as well! Thanks so much for stopping by. Let me know how it comes out. In the freezer! Looks yummy! Thanks for sharing….will let you know the comments I get. Jag Sameaj from Mexico City!! Que bueno! Dejame saber como te salio! Jag Sameaj! Silly question- do you use unsalted matzo? I made this last year for a birthday party at a Jewish home during Passover. It was an amazing and welcome hit. It is so beautiful as you cut into it. It also is incredibly easy which is right up my alley. I accidentally changed the direction of some of the Matzas and it made a beautiful pattern. And it was so good. 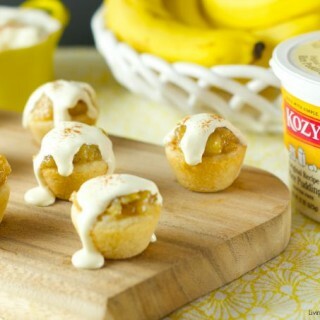 This would be a wonderful treat in the heat of summer when no one wants to turn on the oven. Does regular or egg matzah work best? Took it to a family Seder last night with 50 people and it was a hit! I can send pics if you’d like. How long do you take out of the refrigerator for. Edith serving? It looks hard as a rock in the frig. Thanks! 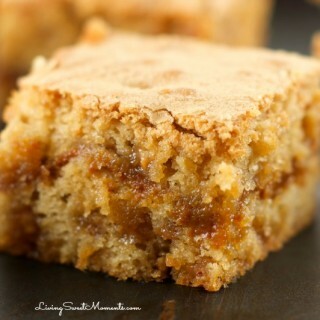 I’m curious if you think this would work with some caramel in between the layers as well?? This cake is amazing! it is a staple for Seadr at my house now! Delisious and not just for passover but esprcially good at passover as deseart choices are not that great. Thank you for sharing. You’re welcome Jana! so glad you and your family like it! How long do you soak the matzo? I saw a question about salted matzo – I’ve never seen salted matzo before. Do I need to add some sea salt ? Definitely making it this year! I soak them for 3-5 seconds on each side. Just so they are a wet without breaking up on you. The salted/unsalted matzo depends on your personal taste. I love combining sweet and salty but that’s up to you. A zeissen Pesach to you and your family! Hello there. I’m not religious at all but am blessed to be invited to a friend’s seder. This will make the third year I have made this cake. It’s so popular the get the Matzos for me so I don’t have to search. This year I’m making 2 cakes. One with coffee and one without for kids. So excited!!! Ita super popular and super easy. 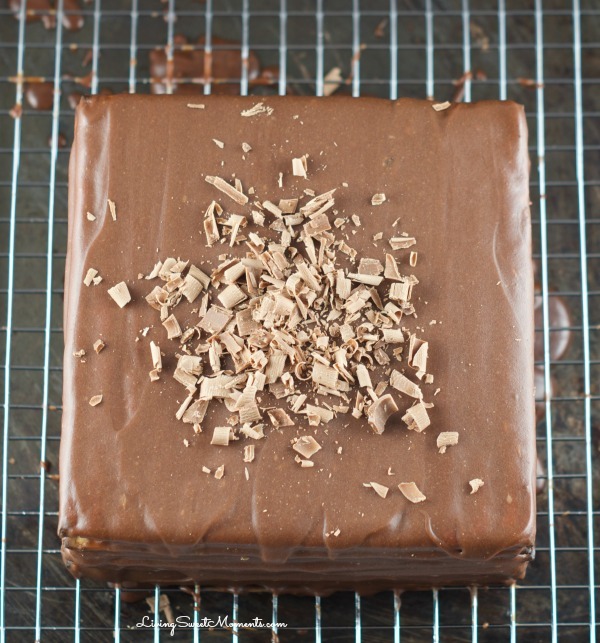 For extra glamorous flair swap the direction of the matzos in the cake and you get a checkerboard effect. Discovered by accident. Does this call for powdered or regular granulated sugar?